Amazing!! Such a great job. Keep it up I love your work! I love before and afters! I could barely paint my nails nicely when I started my blog, now I'm dabbling a little in nail art. Practice is everything! 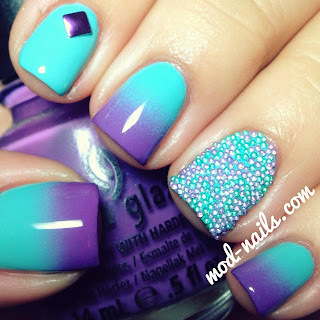 Love your mani, it's beautiful! It really is. I would never think I'd be able to do some things now let alone paint my right now without looking like a 3 year old did it haha. Thank you so much! Awesome improvement! 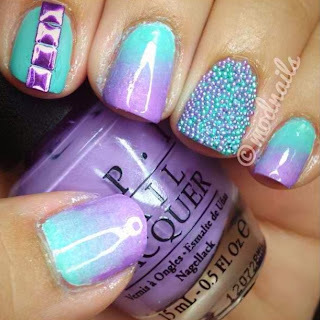 Question: where do you get this nail art glue you say you use for your studs and bows? I use reg nail glue but it never holds for more than a day. What do you suggest? Thank you so much for the tip!! Oh and I voted for you just now for your Christmas nails!